It's August ... it's Hot.... but i can Dream, can't i, of having a private little garden, complete with sculpted hedges, climbing ivy, charming picket fences and perhaps a fountain or two trickling through out ... fragrant roses, lush grass beneath my feet .... cobblestone walkways with the aroma of fresh herbs growing up between the cracks ..... and of course, i'm sitting out in my veranda, on my porch swing overlooking this amazing creation .... a Large glass of refreshing ice tea sitting to my right, my yarn basket filled with new yarn and books are scattered over the floor because i am so stirred to creativity in the midst of this paradise. 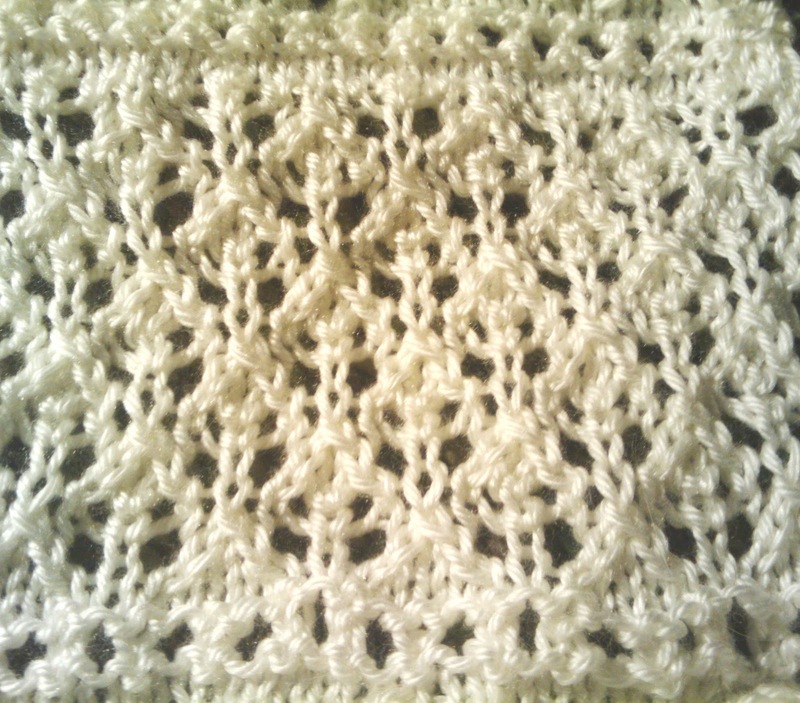 knit and knit and knit! 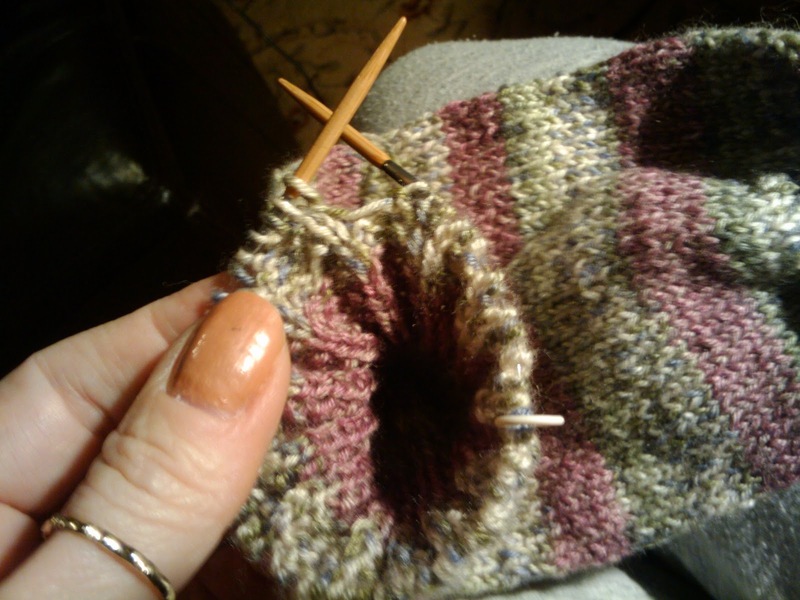 Sometimes Knit So Simple is the best approach and it's hard to convince others that knitting these little socks is actually a very RELAXING endeavor. 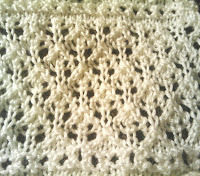 Because there is no pattern to follow, no counting, just straight knitting - they really DO go rather quickly. It's never a problem to put them down and then panic to wonder 'where was i' when i pick it back up. 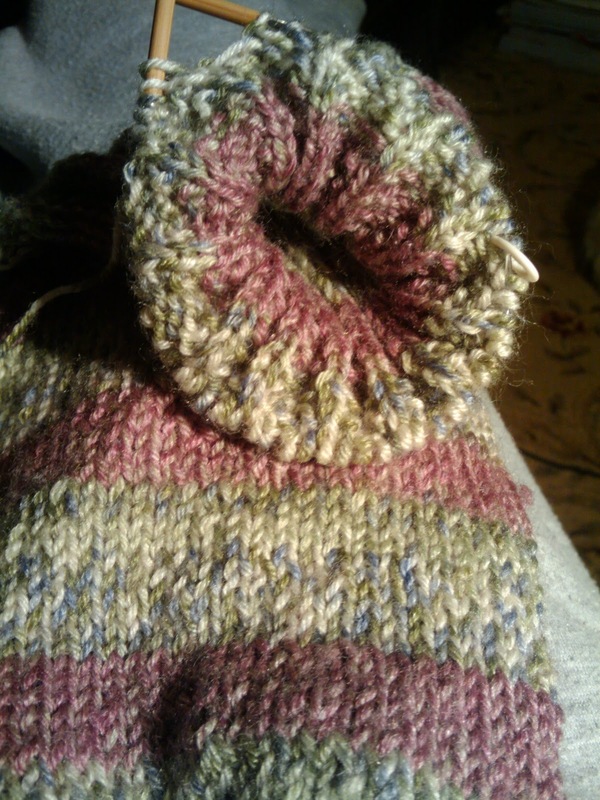 i'm doing a simple rib pattern on the cuff ... Row 1: K3, P1, K1 Row 2: K2, P3 ... just a little deviation from the standard k2, p2 rib.. and i think (I KNOW) i like it! and do you have ANY idea how much yarn is available on ebay! 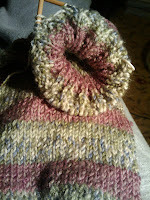 ... i'm loving this self striping yarn ... all the Look of Impressive without all the work! ... it's our little secret! Too bad i don't have size 6 feet .... i'd REALLY be flying! you HAVE to give socks another try .. in case you've had a bad taste in a prior knitting life!